You'll have to pay for your own cellular service to enable Microsoft's Surface Go with LTE Advanced, however, potentially adding a couple of hundred dollars to the price of the basic Surface Go. 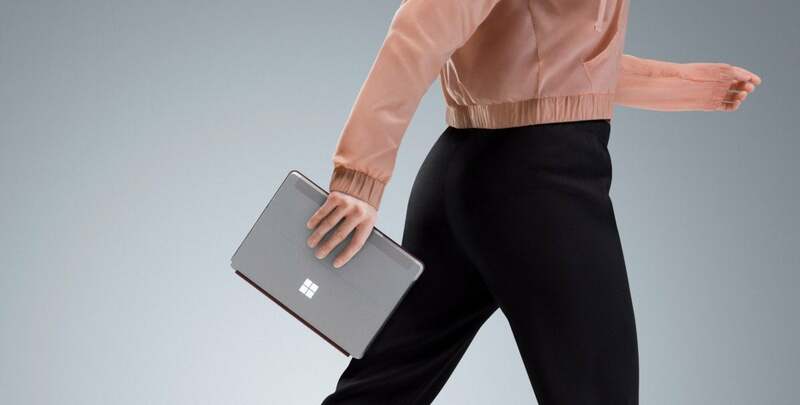 Microsoft said Monday that it has added an LTE option to its Surface Go for an additional $130 over the basic Surface Go, bringing always-on connectivity to Microsoft’s cheapest 2-in-1 tablet. When PCWorld originally reviewed Microsoft’s Surface Go tablet, the absence of an LTE option was noticeable—this was the Surface Go, after all. On Monday, Microsoft announced an 8GB RAM/128GB storage version of what it calls the Surface Go with LTE Advanced for $679, with support for AT&T, Sprint, and Verizon. (T-Mobile is also validated to work with T-Mobile SIM cards, a Microsoft representative said, though it wasn’t originally listed as a carrier.) You can preorder today, with shipments arriving in the U.S. and Canada on Nov. 20. Microsoft didn’t announce any partnerships or promotions with carriers, so you’ll have to negotiate with a carrier for an additional SIM and/or a pricing plan to accommodate the new LTE capabilities. Bands 1, 2, 3, 4, 5, 7, 8, 12, 13, 17, 19, 20, 25, 26, 28, 29, 30, 38, 39, 40, 41, 66 are supported, meaning that international travelers will be able to use carriers like DoCoMo, SoftBank, KDDI, EE UK, and Vodafone UK. The Surface Go with LTE uses a physical nanoSIM slot. The Surface Go’s compact size made it an excellent choice for working on the go. LTE adds the native connectivity option it lacked. Microsoft’s LTE-less Surface Go was noteworthy in part because of its pricing, as the minimum-specced 4GB RAM/64GB storage configuration is $399, far lower than the $1,000+ pricing Surface buyers usually pay. We did note, though, that most buyers would consider the 8GB/128GB $549 version the minimum acceptable spec, in part because the 128GB storage option was a true SSD. Adding LTE will require you to pay $130 more simply for the LTE option alone, plus whatever additional costs your cellular carrier will charge. What this means to you: Nothing’s stopping you from simply buying an LTE-less Surface Go and tethering it wirelessly to your phone—in fact, that’s the only way users with a T-Mobile subscription will apparently be able to use the Surface Go. But connected PCs are extremely useful for those stuck in an airport lounge or train for an hour or two, even if the bulk of your time is spent on Wi-Fi or connected via ethernet. 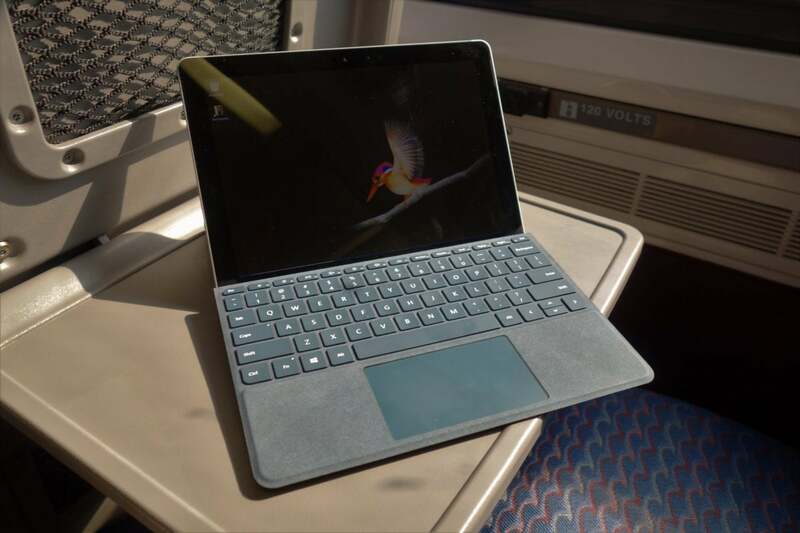 As our review indicated, the Surface Go form factor is ideal for trains and some airplanes, making it a solid choice for everyday commuters. Adding LTE simply makes the Surface Go even more appealing. Clarification: This story was updated to note that the Surface Go is qualified to work with T-Mobile, though the carrier was not on the original list of approved devices. The consumer version of the Go also ships with Windows 10 Home.